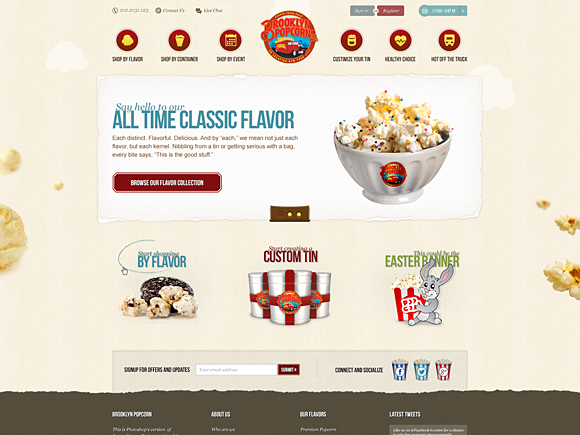 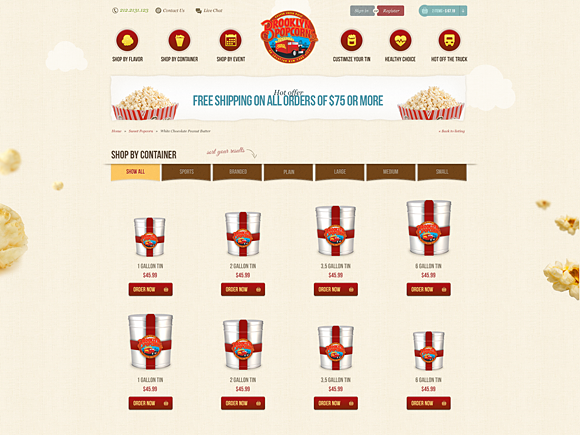 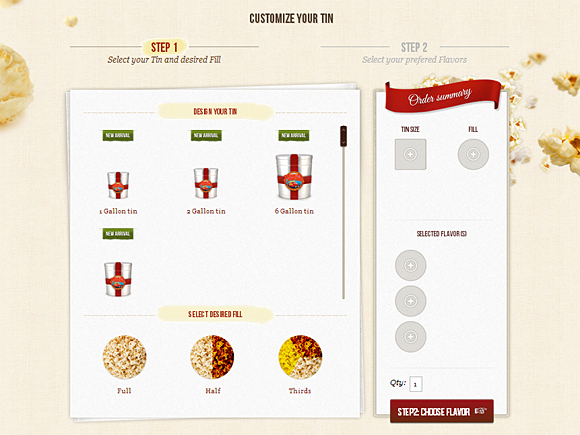 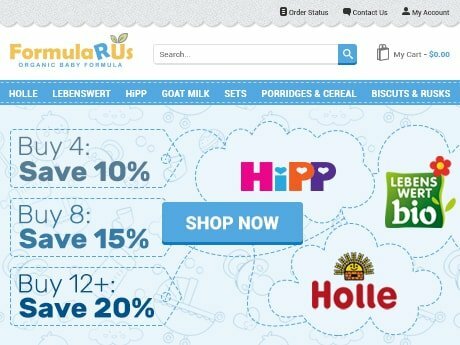 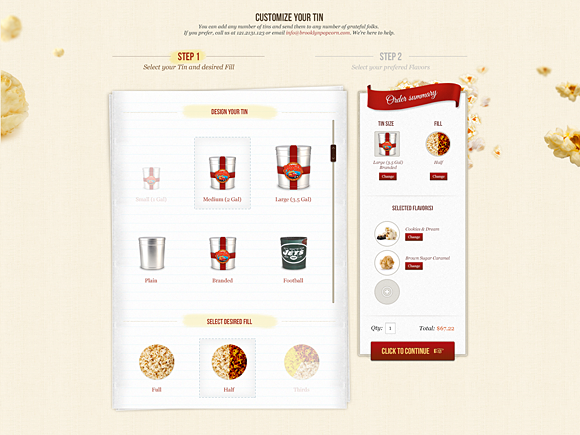 Heavily customized Magento website for popcorn online ordering. 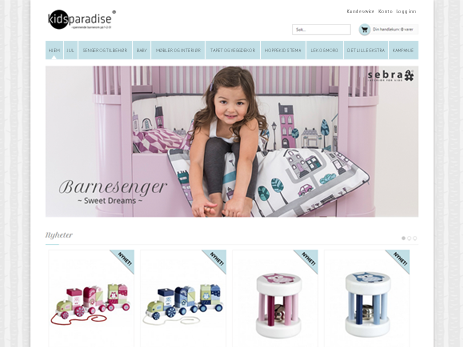 Product configurator/constructor with several steps and many options, responsive template, GPS tracking integration, advanced email marketing. 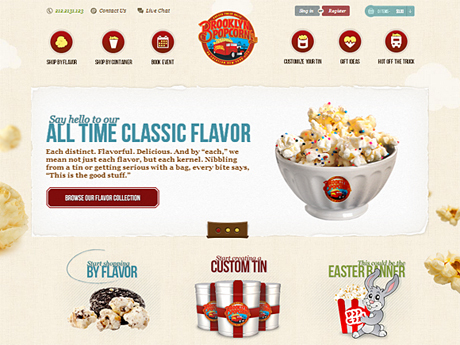 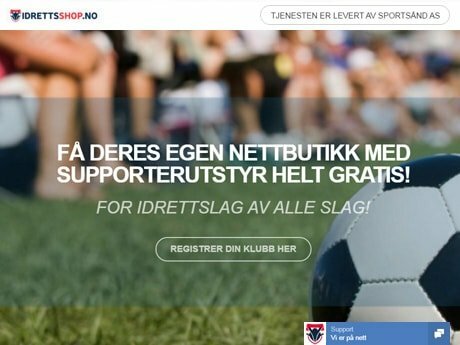 Our team was responsible for implementing responsive design and custom functionality development on Magento platform.